But can they sail right though North Pole? What about all the ice? It must be a mile thick on North pole! NOPE! 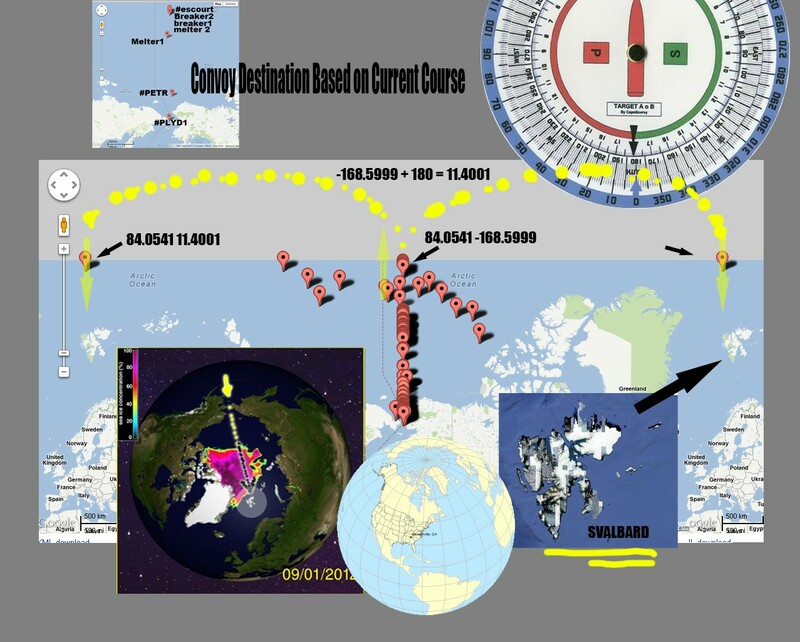 20.9.2012 0:00 GMT Convoy is cca 450 km south of north pole. Discovery of new T-###### countdown for PAYLD. We can assume that some take off of the payload, whatever this is, will take place once the countdown is over. Theories are that it could be the launch of a satellite, missiles, or a space station, possibly. 27 Sep 2012 03:41:44 GMT will be T minus 0 for the payload. Cached 2019-04-19 04:06:54. This page was last modified on February 4, 2013, at 17:07.